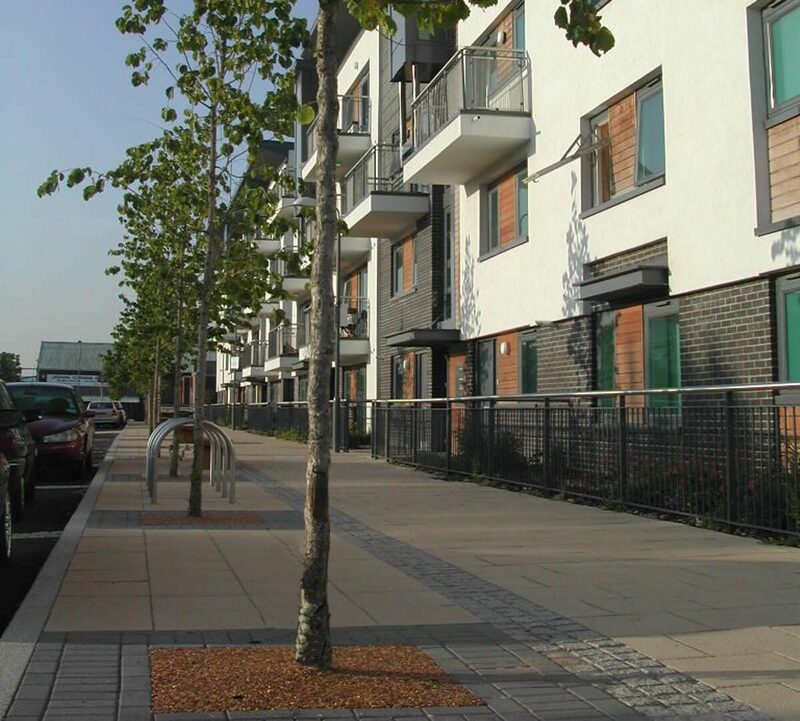 We carried out all elements of the landscape design from masterplanning through to detailed design for this high density housing development on a brownfield regeneration site. The landscape scheme creates an attractive and functional setting to this distinctive flagship development and includes a series of high quality communal courtyards, public realm, a linear park and an informal pocket park. Sustainability issues are an intrinsic part of the project working and design scheme and the project was awarded the CABE Building for Life Gold Standard.